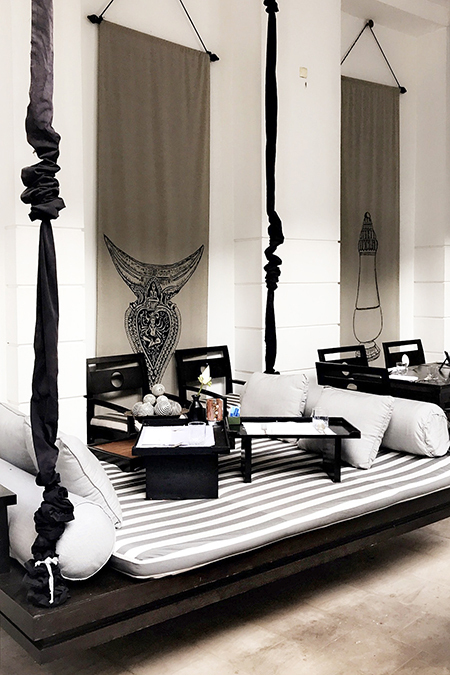 As I stepped out of the scorching Cambodian heat and through the double doors into the Park Hyatt Siem Reap, my first impressions were: This place is so cool. Literally. First, a chilly lemongrass-scented breeze brought immediate relief from the tropical heat. Then, my eyes were drawn to the gentle giant in the middle of the lobby - a vast, slim stone statue with the most serene expression, bearing a bouquet of cut flowers with sweet pink petals that matched the Christmas decor. Finally, my eye travelled upward to the skylight which infused the lobby with so much light, making the space bright yet airy. To the relief of this pampered princess, my stay at Park Hyatt Siem Reap would be nothing less than exceptional. From the moment my mother and I were ushered into the Living Room and offered ice-cold cocktails and refreshing cold towels while we were being checked in, to the ever-ready yet discreet staff who all knew our names and our coffee preferences (almond milk latte with two shots for me, please), it was clear that Park Hyatt Siem Reap had an eye for detail. And what an eye. 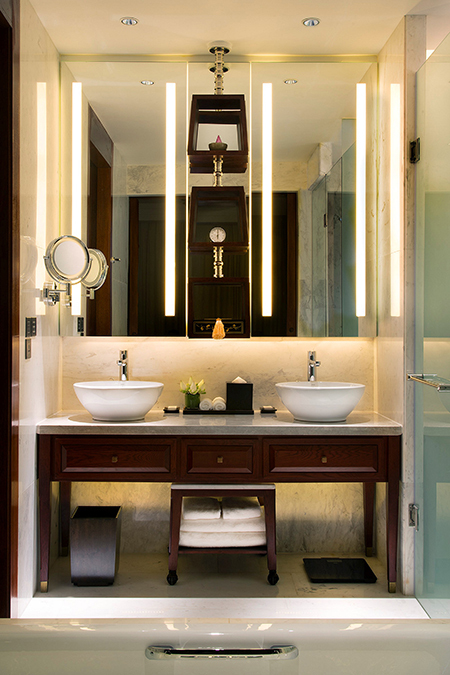 Park Hyatt Siem Reap utilises proportion to elevate deceptively minimalist spaces, which upon closer inspection reveal detail that reference Khmer and colonial aesthetics. The long, narrow corridor from the lobby leads into many antechambers - all painted in warm, dark, glossy tones for an intimate feeling - ending with a large, square-shaped gallery filled with even larger than life sculptures before leading out to the hotel’s blindingly-bright courtyard. Even the hotel’s guest elevators somehow manage to fit a floating shelf with an orchid plant, a feat in a compact room but more so, a thoughtful detail in an otherwise overlooked yet perfunctory space. My favourite space in the Park Hyatt Siem Reap is the central courtyard (above) where traditional Apsara dance performances take place every night during high season. 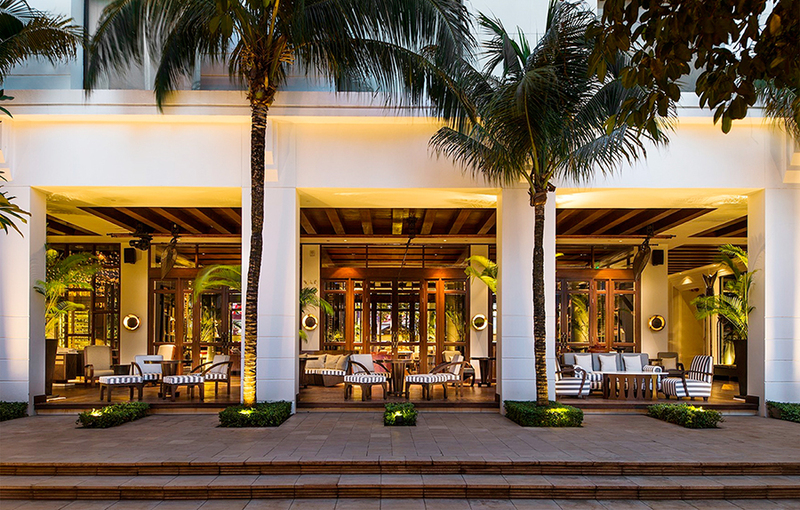 In the daytime, the courtyard is cool and airy despite the tropical climate. With plenty of cozy nooks to eat, drink, or simply hide away - from dining tables flanked by pillars for privacy or right in the open, to upholstered free-floating swings (left) where one can take their pastries and coffees on a breakfast tray - the courtyard is in my opinion, the place to dine at the Park Hyatt Siem Reap. I certainly enjoyed my daily breakfasts of sweet, juicy Cambodian mango, overlooking the floating tree and pond. 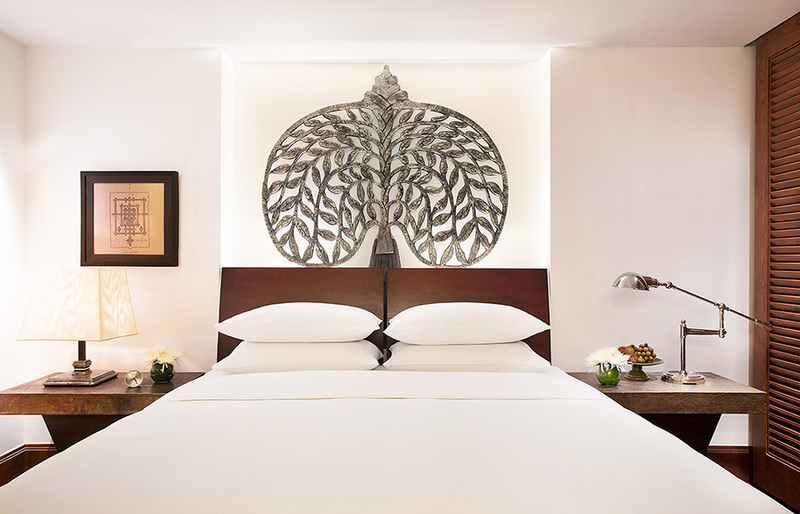 Despite, or rather because of its position smack bang in the middle of an extremely hectic (and rather dusty) city, the Park Hyatt Siem Reap is an urban oasis of tranquility and refinement. 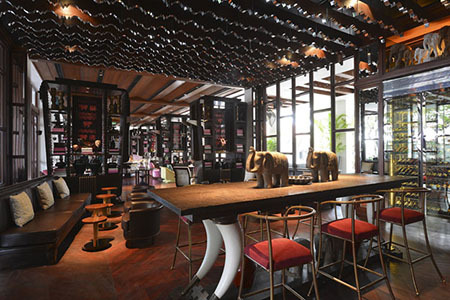 The hotel is also a dining destination: the many expats who flock to the Living Room (below) for their evening cocktails will attest to that, as will the foodies who head to The Dining Room - the hotel’s formal restaurant which serves French-influenced Khmer dishes. I had the pleasure of enjoying the Dining Room’s special Christmas Eve dinner tasting menu with a charming East meets West performance: Christmas carollers followed by the hotel’s usual Cambodian dance performance. 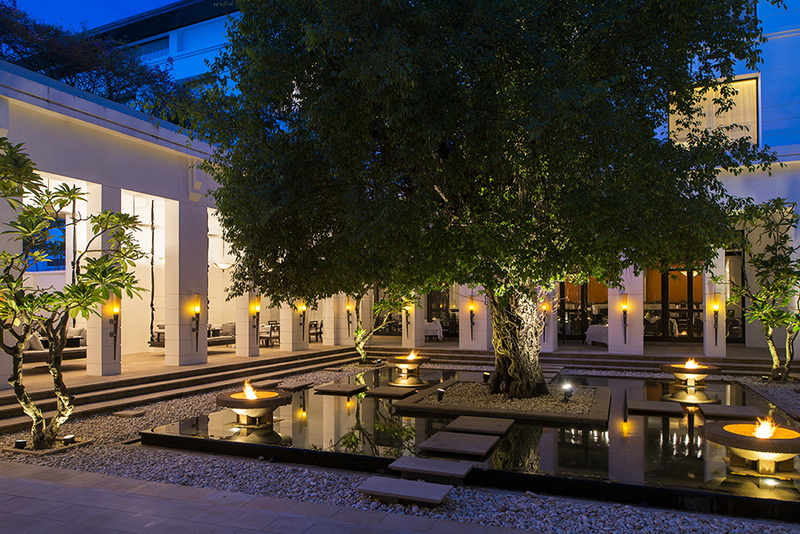 With just over 100 rooms, the Park Hyatt Siem Reap has that boutique hotel (residential, even) feel. The hotel does not compromise coziness for luxury: even the standard rooms - called Park King rooms - are spacious and well-appointed, measuring 35 square meters (376 square feet). 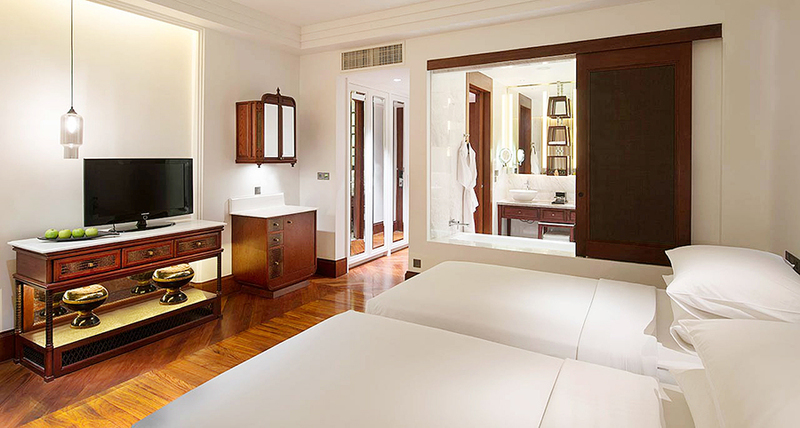 The amenities, much like the decor, strikes that wonderful balance of modern convenience with traditional treasures: iPad docking pods and Nespresso machines never look out of place among the mix of classic Khmer, contemporary, and colonial furnishings. My Park King room was outfitted with, as requested, two single beds (King size beds are the other option with a delightfully firm mattress, a large sofa bed, and an elegant Italian marble bathroom with a sliding window beside the tub. Rooms at the Park Hyatt Siem Reap face either the city or the courtyard, I opted for the latter which made for a wonderfully peaceful experience. The only sounds I could hear from my room were the evening dance performances in the courtyard below, but far from being an annoyance the traditional music added a local flavour to the atmosphere. 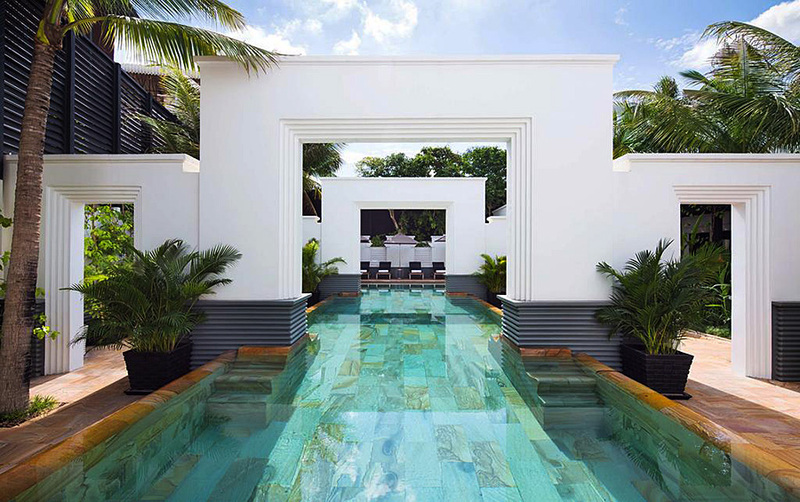 The result is a harmonious marriage of ancient Khmer and contemporary aesthetics, creating a distinct look and feel that is both historical and grand, yet relaxed and modern. For the discerning traveller who doesn’t want to sacrifice luxury for location - and this is a concern for a country that receives 2 million tourists a year but is relatively undeveloped in the luxury hotel sector - the Park Hyatt Siem Reap is one of the very few luxury hotels in the heart of downtown Siem Reap. 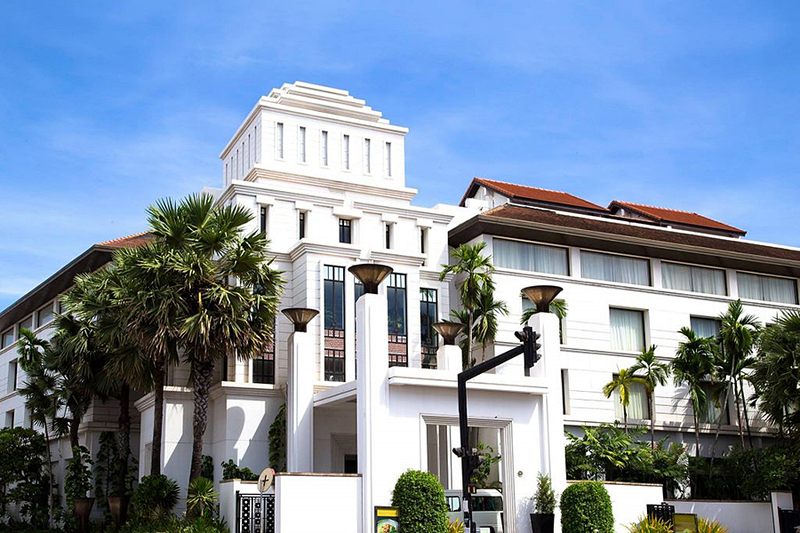 The hotel is right at a busy intersection in the city centre, a mere 15 minute drive from Angkor Wat and from Siem Reap International Airport, and a 3 minute walk from the main shopping and nightlife streets. Rates are reasonable by Park Hyatt standards: double rooms start from £135 in low season and from £255 in high season (November to January).